Explicit TPB - BIC - DC Comics - Batman Beyond (2016) Escaping the Grave Part 2! TPB Back Issue Classics Episode 91 is here! Mike and JT from Saskatoon return to Neo Gotham to talk about the REBIRTH of BATMAN BEYOND, by looking at issues 3-5 of the NEW series from DC Comics!... This is Escaping the Grave Part 2! As Always we spoil everything! We talk about how Mike is loving the writing and JT .. well loves the art and more! 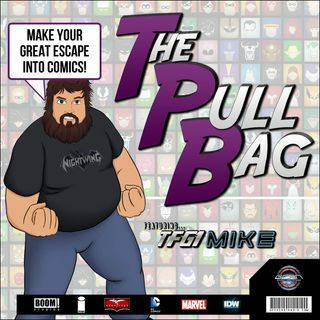 So grab some snacks, sit back, relax, and listen in as we give you the Batman Beyond Coverage you want only here inside The Pull Bag!